Many children develop allergy symptoms as they get older which can be very expensive to test for and diagnose. Before embarking on extensive and expensive tests and allergy prevention measures, go though this checklist to recognize allergy symptoms in children. This is perhaps the single most important indicator of allergy symptoms in children. 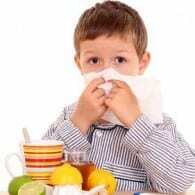 Virtually all children go through normal coughs and colds. Some children may have several back-to-back colds during winter that make it seem like they may have allergies. However, before you delve into an all-out effort to prevent your child’s allergies, we suggest you allow at least two or even three months to pass. Mild allergies or a string of colds will usually work themselves out within this time period, thus making allergy interventions unnecessary. You may alleviate your child’s symptoms with over-the-counter allergy medications during this time if necessary. One exception to this three-month rule is for young infants where formula allergy or an allergy to food in mom’s breastmilk should be investigated after perhaps one month of symptoms. Are the symptoms significantly interfering with sleep? Do the symptoms significantly interfere with normal day-to-day activities? Do the symptoms significantly decrease quality of life? Do the symptoms slow your child down or interfere with sports or active play? Decide how significantly the symptoms are interfering with your child’s well being. If your child coughs several times during the night, but in general gets a good night’s rest, you may want to leave well enough alone. If the runny or stuffy nose comes and goes and requires an occasional nose-blow, but does not bother your child or slow her down, you may just decide to wait and see if she outgrows it. Very mild, non-bothersome allergy symptoms in children don’t have to be extensively treated. Allergies usually cause continuous daily, or nightly, symptoms, at least during certain seasons of the year. Allergy symptoms in children will persist for five or more days a week for several months straight. Colds, on the other hand, will usually hit your child hard for a few days, and then slowly improve over the next week or two, followed by a period of complete wellness. If your child is experiencing two or more symptom-free weeks in between attacks, then it is more likely to be recurrent colds instead of allergies. Children are much more likely to catch frequent colds during the late fall and winter months. If your child has been healthy all year, but seems to be sick all winter long, it may simply be the constant exposure to cold germs at school or childcare (although allergies could also play a role during wintertime). See if the symptoms continue into the spring, then consider allergies. Studies have shown that if one parent suffers from nasal or skin allergies, your child has a 25% chance of having allergies as well. If both parents have allergies, your child may have up to a 75% chance. Therefore, if one or both parents have allergies, be more alert to the possibility of allergy symptoms in children. If you have lucky genes, and allergies are virtually non-existent in your family, you can be slower to worry about allergies.